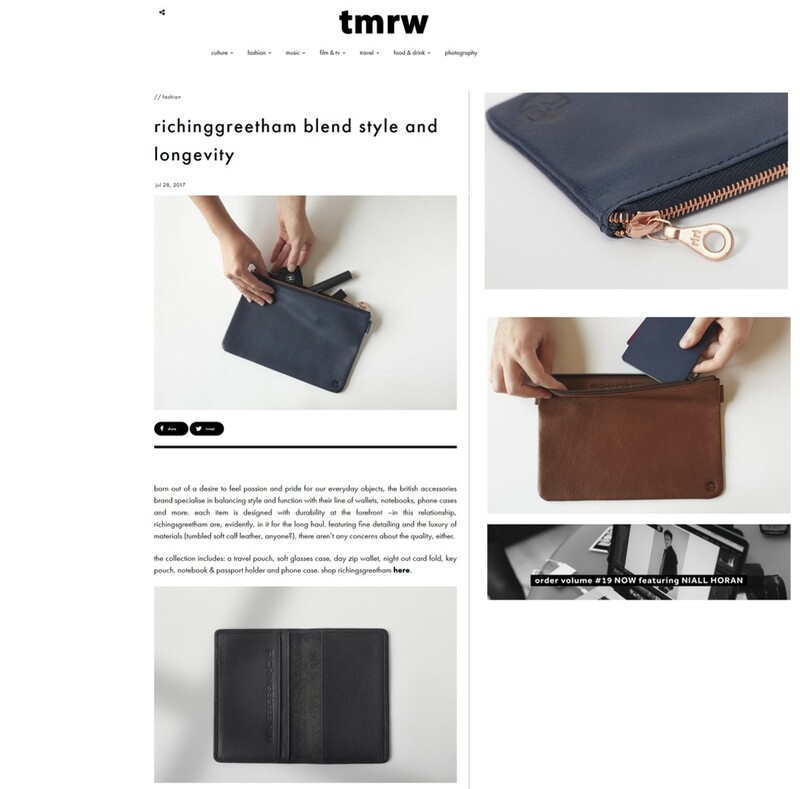 Born out of a desire to feel passion and pride for our everyday objects, the British accessories brand specialise in balancing style and function with their line of wallets, notebooks, phone cases and more. Each item is designed with durability at the forefront –in this relationship, Richings Greetham are, evidently, in it for the long haul. Featuring fine detailing and the luxury of materials (tumbled soft calf leather, anyone? ), there aren’t any concerns about the quality, either. The collection includes: a Travel Pouch, Soft Glasses Case, Day Zip Wallet, Night Out Card Fold, Key Pouch, Notebook & Passport Holder and Phone Case.